I work a simple job. I work for the Group Real Estate. We are a small time brokerage, making big things happen in the Idaho Falls and Ammon area. Listing homes here and there, making big closings, and having a wonderful environment while doing so. The culture and environment, I have talked about before in a blog, are what bring every agent here. A place where we love one another, we will do anything for each other, we make sure that everyone is taken care of, and at the end of the day, we care for each other. As I have progressed more and more in the bodybuilding world, I haven’t been that big of a deal, and I still am not. I am not here to say that I am going anywhere big, or fast, but for the longest time I saw my best friend get a sponsorship, get me into the sport and then win his first and second shows. He is already accomplished. I watched him get sponsor after sponsor, going forward with his bodybuilding career. I was simply riding the coat tails of someone who was truly important to me in the game of bodybuilding. I only got a small taste of this as I went forward going to his shows, learning a few poses here and there, working out with him and having fun doing so. This led me to making a big decision. I decided I was going to do a show. No sponsors. Nothing. As this happened, my friends newly acquired company and culture, the Nxt Lvl Empire picked me up as one of their athletes, helping me with posing, and learning the ways of being a bodybuilder. Giving me the gumption and confidence I needed to go forward. As a part of this, my friend was sponsored by a company called V1ktor. He got me into buying their socks, looking at their culture and style and showing me that there was a possibility of being one of their athletes. A time came where they decided they were going to do interviews. In my confident state, I decided to go for it. Doing the bodybuilding show has been one of the hardest things I have ever done, I have ever tried for, and that has changed me for the better. The interview went well, the second interview went even better. Then came the waiting. When I received confirmation, and was announced to a company that showcases the same values and culture that I work in, that I wholeheartedly believe in, I was elated to know that I was going to be able to represent this wonderful company. A company that breed athletes who love life, who love each other, and who have the backs of everyone around them! There is a wonderful feel and look about this company. They are supporting ever single one of their athletes. And by doing so, the style of athletes, from bodybuilders to runners to Spartan racers to the every day person who wants to better themselves, it reminds me so much of a true family. No one is the same. No one is going to be going for the exact same thing. This then reminded me of the company I work for. All in all, this idea goes towards that idea that we all have dreams, we all have goals, and when we are all supportive of those goals, no matter what they may be, we will all succeed. 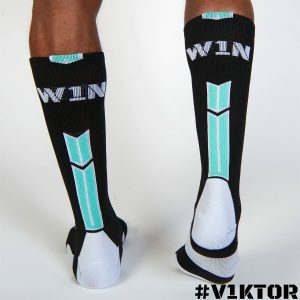 V1ktor athletics, and being a signed athlete, is all very new to me. It’s a part of a journey that I never thought I would be a part of in this life. It’s something that I never thought I would be doing, within the bodybuilding world. But just like V1ktor, and just like my job, and especially like my family, if you have a goal and you have the right support group, you will be able to succeed at anything that you put your mind to. There is such a powerful merit to the idea of putting your mind and your heart in the right direction, but also making sure that you surround yourself with those who have the exact same intentions in their hearts, as well.